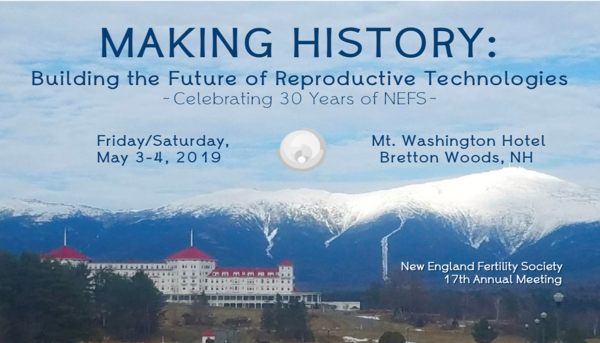 17th Annual Meeting of the New England Fertility Society on May 3-4, 2019. The special group rate at the Mt. Washington Hotel is $209. A limited block of rooms have been reserved for this meeting at a special group rate of $209 per night plus applicable taxes and resort fee. Check-in time is at 4:00pm and check-out time is at 11:00am. There are many activities for you and your family to take advantage of during your stay if you wish to come earlier or stay later. NEFS guests will receive 10% off spa services and the Canopy Tour during your stay. If you wish to take advantage of these activities, please contact the concierge to book your reservations. An expansive spa and wellness center, elegant dining, year-round programming, and thoughtful luxury amenities capture the best of New England for immersive experiences in every season. Click here for detailed driving directions and a map.